I am a psychotherapist and writer, with an interest in ancient philosophy, and a focus on the skills and insights that illuminate our inner lives. My books cover subjects from friendship and belief, to wellbeing and love. 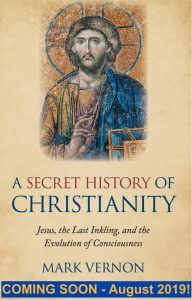 My next book, A Secret History of Christianity, is based upon the ideas of the Oxford Inkling, Owen Barfield. As a psychodynamic psychotherapist, I have a private practice in London, working with individuals who have a variety of concerns, as well as having worked at the Maudsley Hospital in south London in a personality disorder service. I contribute to and have presented a number of programmes on the radio, and write as a journalist, with my work being published by the BBC, Aeon, Church Times, and elsewhere. I teach at The Idler Academy and also lead workshops and give talks. I’ve appeared on a wide range of platforms including at the Hay, How The Light Gets In, Wilderness, Port Eliot, No9, Edinburgh International, Greenbelt, Oxford and Dartington festivals. My books have appeared in translation around the world. My studies began with a degree in physics, before two degrees in theology, followed by a PhD in philosophy – an academic journey that took me from the universities of Durham and Oxford to Warwick. My professional life began as a priest in the Church of England, from which I resigned about 20 years ago.